CBIA begins to shape messaging ahead of election, session | HartfordBusiness.com . New to the site? Click here to register. 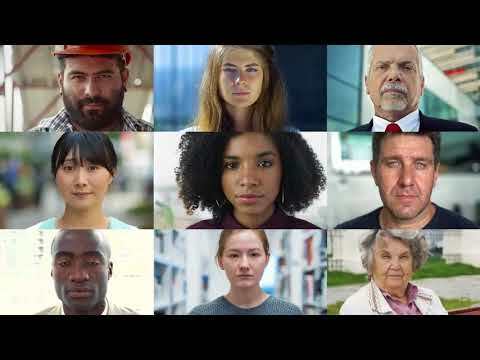 The Connecticut Business & Industry Association (CBIA), the state's largest business lobby, has launched a new marketing and advertising campaign ahead of the November elections aimed at pushing its message in and beyond next year's legislative session, which will have a new governor for the first time since Gov. Malloy took office in 2011. "Fix Connecticut," unveiled Monday, prioritizes economic and job growth, cutting state spending, lowering taxes, reforming the state's employee retirement system and nixing "costly" workplace mandates, CBIA said. The roughly $600,000 campaign will run through at least the start of the 2019 General Assembly session with digital, broadcast and print advertising, CBIA said. In 2014, CBIA launched its "20X17" initiative, which aimed to get Connecticut into the top 20 of several key business rankings by 2017. The effort showed some results. CNBC's ranking of Connecticut's economic climate grew from 46th to 33rd over that four-year period, while Forbes dropped the state's ranking from 33rd to 42nd over that time. CBIA plotted a more aggressive stance around election messaging in 2015, following the passage of a $1 billion tax increase. It spent more than $400,000 on advertising to endorse a slate of statewide candidates, mostly Republicans, in the 2016 election, promoting those it characterized as pro-growth. CBIA said Monday it intends to endorse another slate of candidates ahead of November, but said it will stick to its past policy of not endorsing in the gubernatorial race. "Lawmakers and candidates must understand what really matters to Connecticut and we want residents to understand how critical these issues are to the state's economic future," Brennan said. "It's clear from recent opinion polls that people want to see a change in direction." CBIA said Connecticut's economy has lagged since the 2008 recession and that its debt load is too high, amounting to $53,400 per taxpayer. The state's economy has recovered 86 percent of the total jobs lost in the recession as of July, according to the state Department of Labor. However, much of the deficit has been in the government sector. The private sector has recovered nearly 110 percent of the positions it lost in the recession, according to DOL. Click here for more about CBIA's campaign. Editor's note: This story has been amended to include the most recent available data from the labor department.